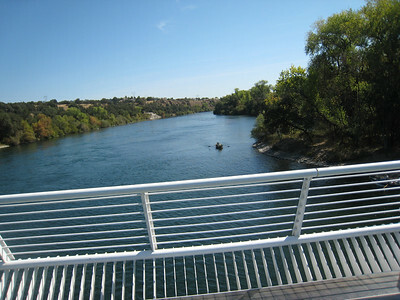 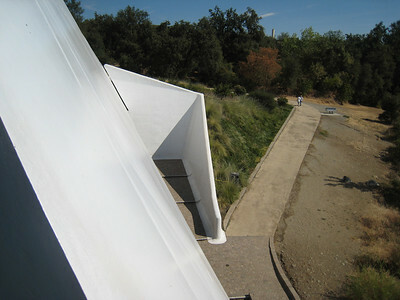 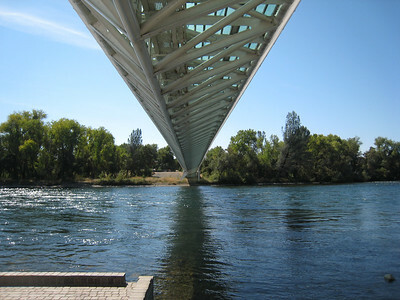 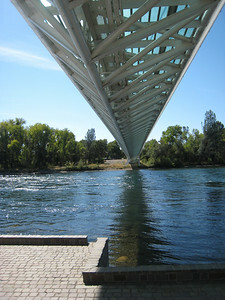 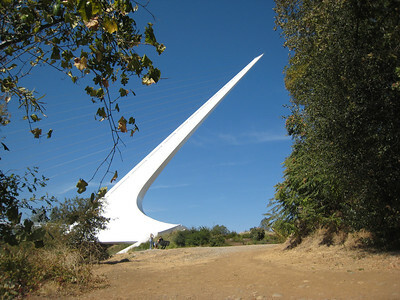 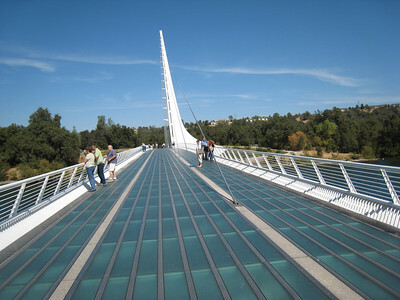 The Sundial Bridge at Turtle Bay crosses the Sacramento River in the heart of Redding, California. 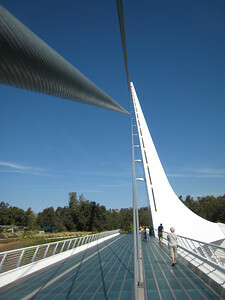 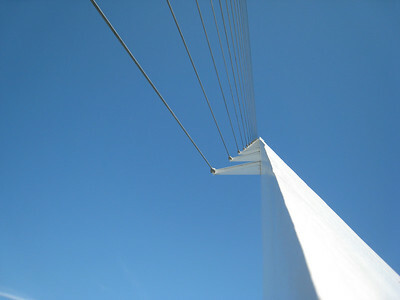 Open July 4, 2004, The cable-stayed structure has an inclined, 217 foot pylon constructed of 580 tons of steel. 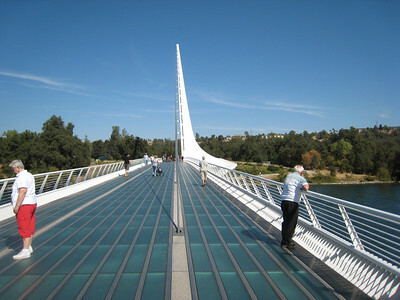 The deck is made up of 200 tons of glass and granite and is supported by more than 4,300 feet of cable. 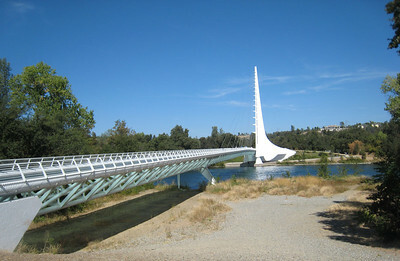 The structure is stabilized by a steel truss, and rests on a foundation of more than 115 tons of steel and 1,900 cubic yards of concrete. 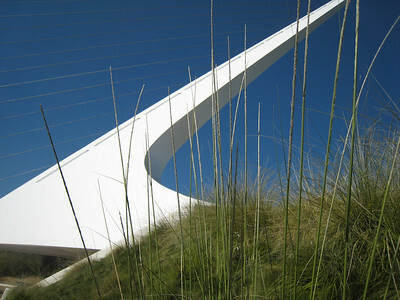 Designed by Spanish architect and engineer Santiago Calatrava.